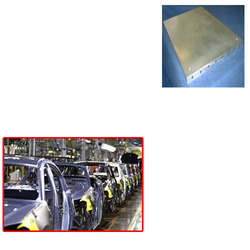 Our range of products include cooling plates for automobile industry. We are leading manufacturer and supplier of Cooling Plates for Automobile Industry. These cooling plates are widely being used and appreciated in several parts of the country as well as abroad. We have set a very reasonable price range for these cooling plates in the market for our clients. Looking for Cooling Plates for Automobile Industry ?